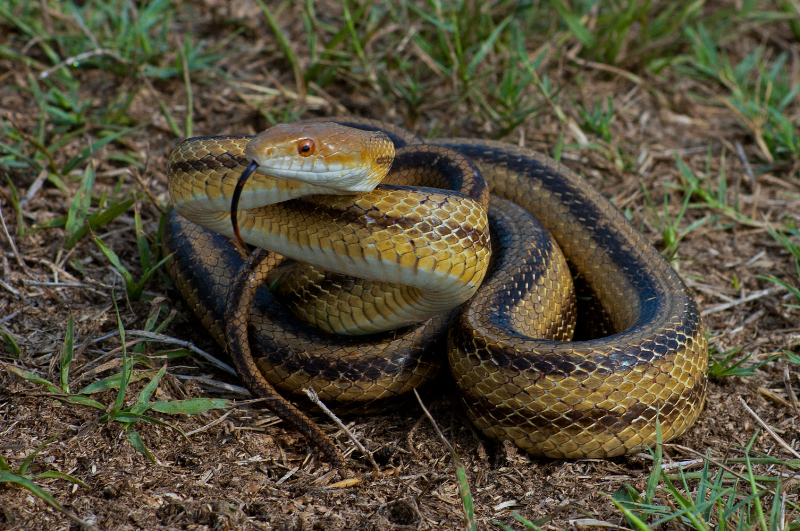 There is nothing like almost stepping on a snake to get the heart beating. My wife and I were out on our morning walk on the Ocklawaha River dike in the Sunnyhill Preserve. 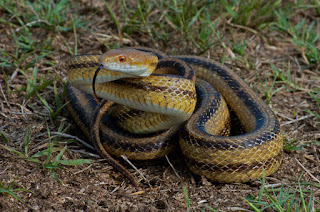 I was so busy scanning the trees for raptors and watching the far shore for gators that I came within 2 feet of stepping on this 4 foot long Yellow Rat Snake. He stayed very calm and stretched out full length until I touched his tail to try and entice him to leave the trail as there was another hiker coming and I don't trust people with snakes. He put on his threat display and it was impressive. When we backed away he immediately chose to flee into the high grass. It was awesome!